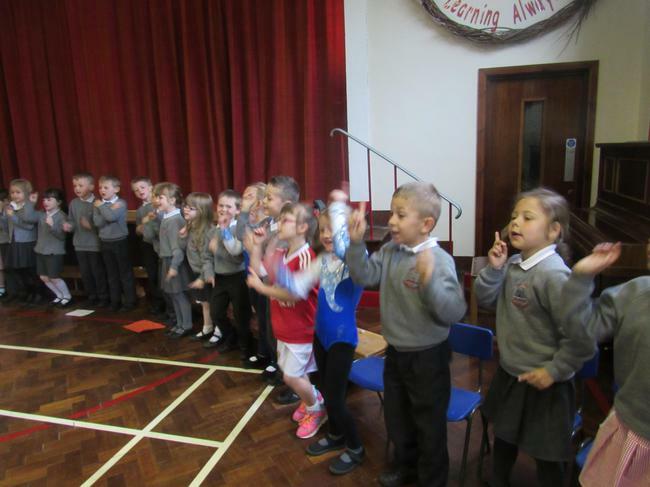 Last week it was our turn to take assembly for the whole school. 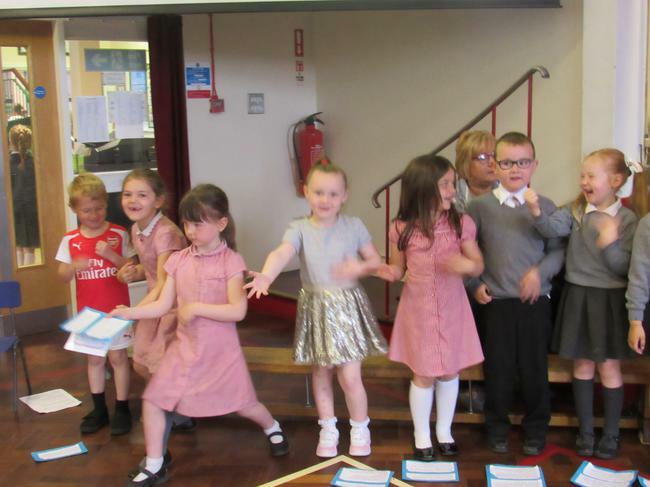 We based our assembly on the story by Max Lucado called "You Are Special" which is about little wooden people and in particular one called Punchinello. 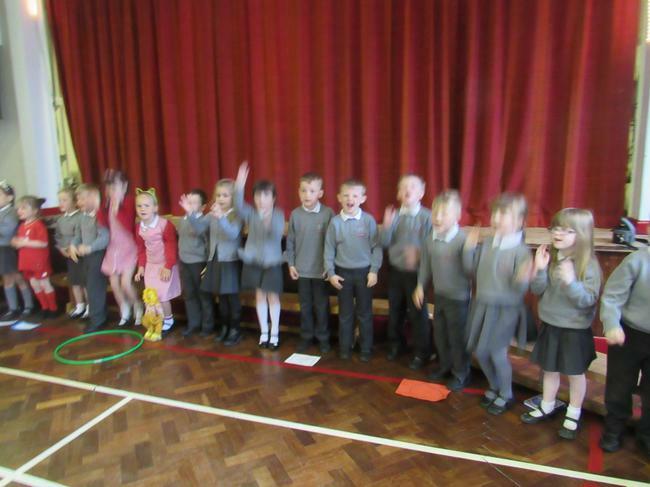 The wooden people gave each other stars for good things they did and black dots when they did something wrong or silly. 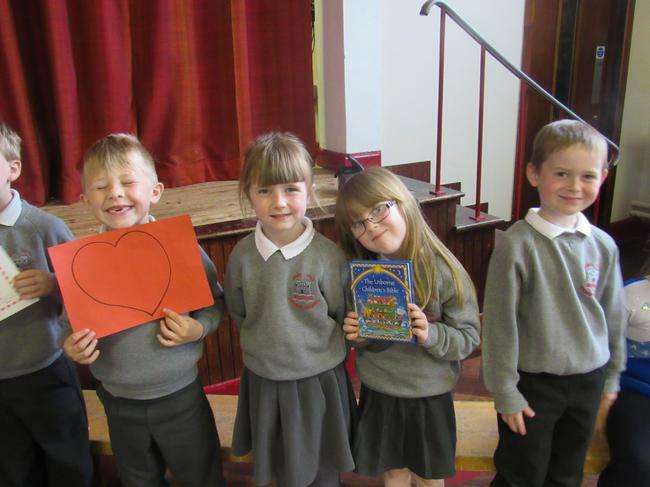 Through the story we were reminded that God thinks we are very special not because of what we can do but just because He made us. 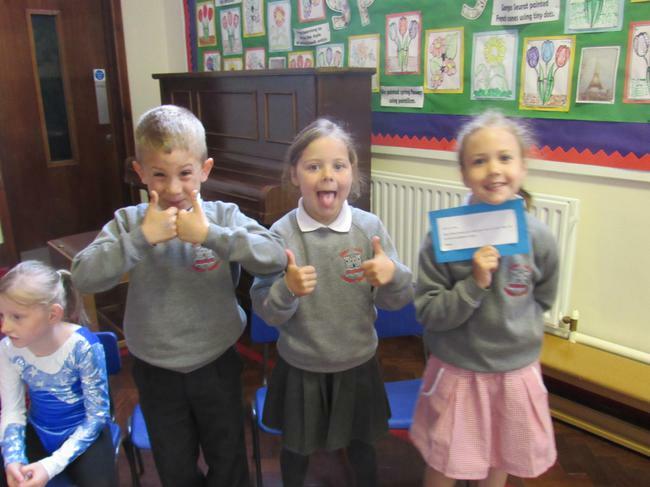 We then thought of something that we think makes us special. 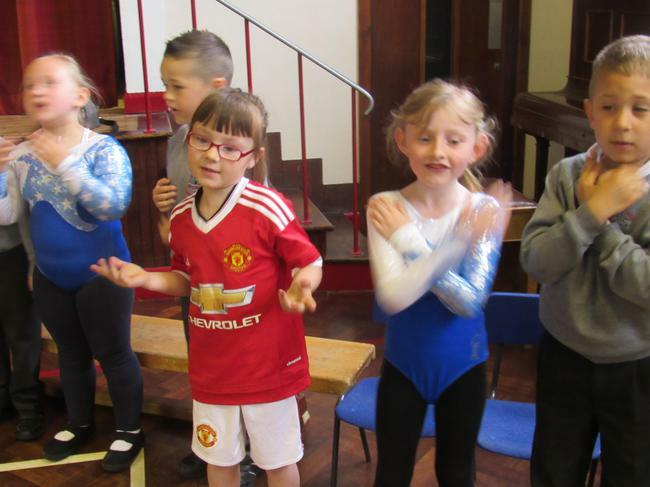 Some children said they were good at football, at being a good friend, at dancing, at gymnastics, at kick-boxing and at running fast. 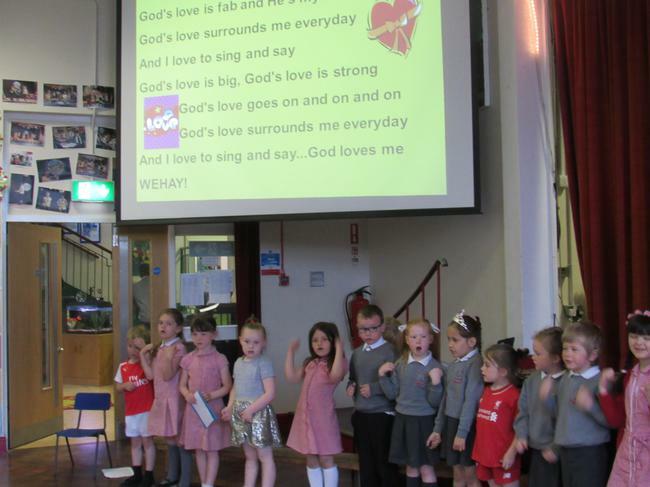 We then sang a song about how much God loves us. 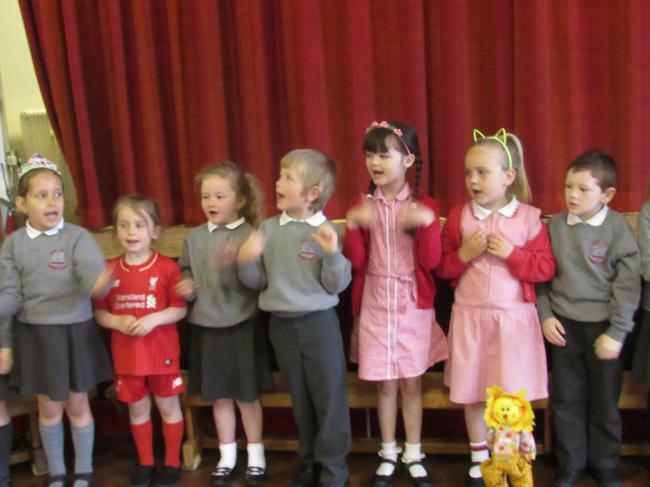 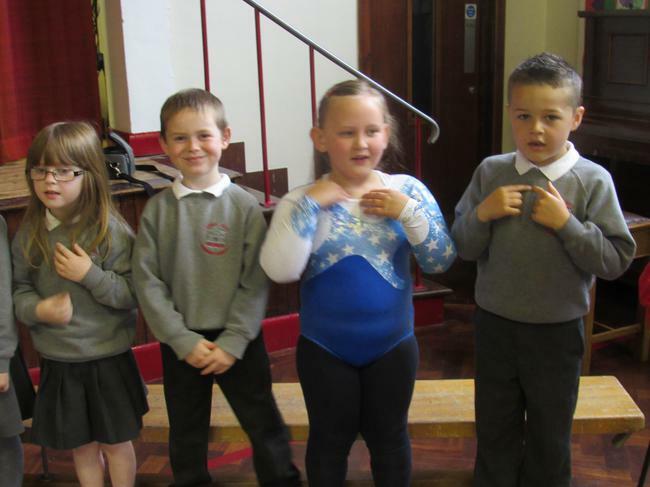 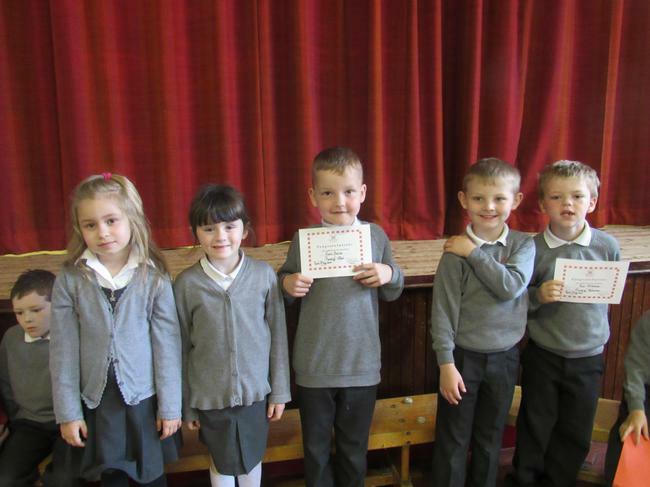 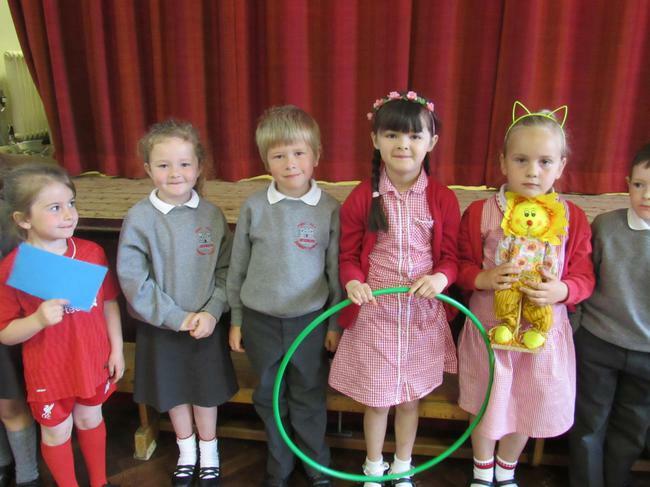 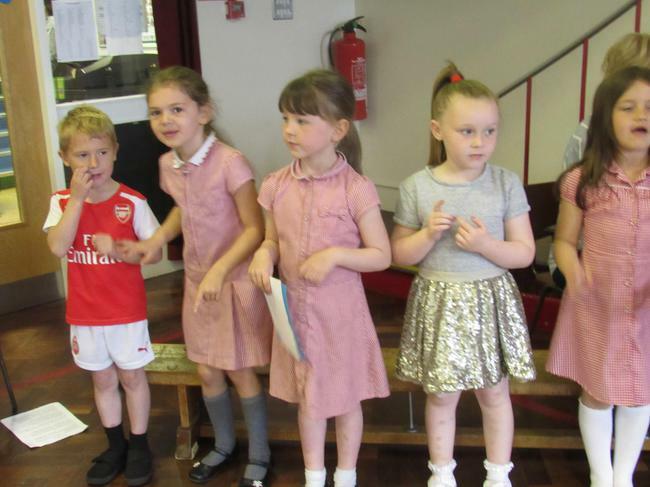 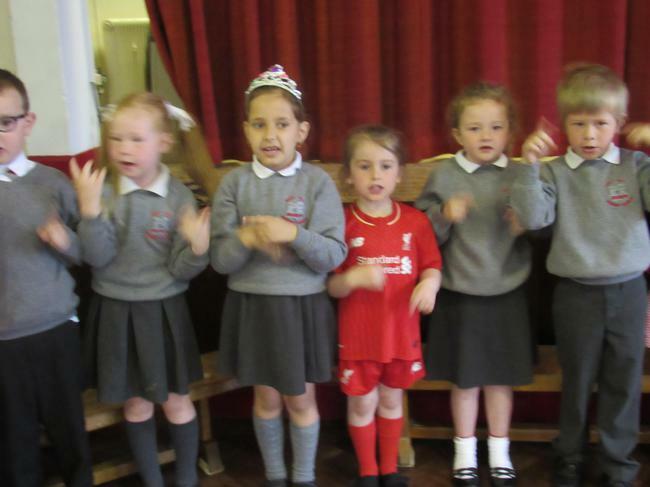 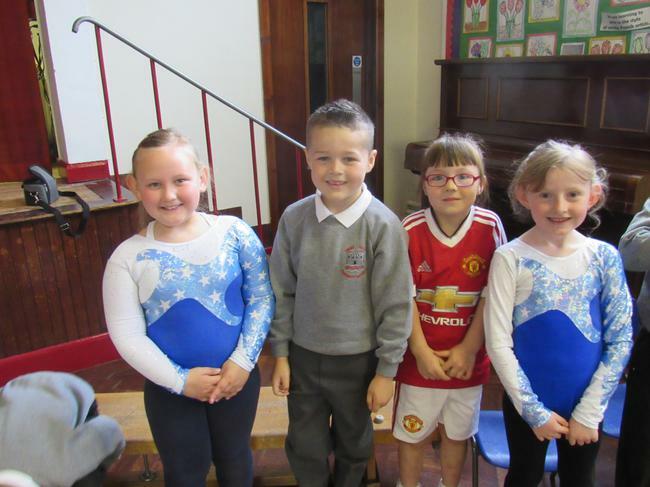 We all worked very hard practising our assembly and we all did so well. 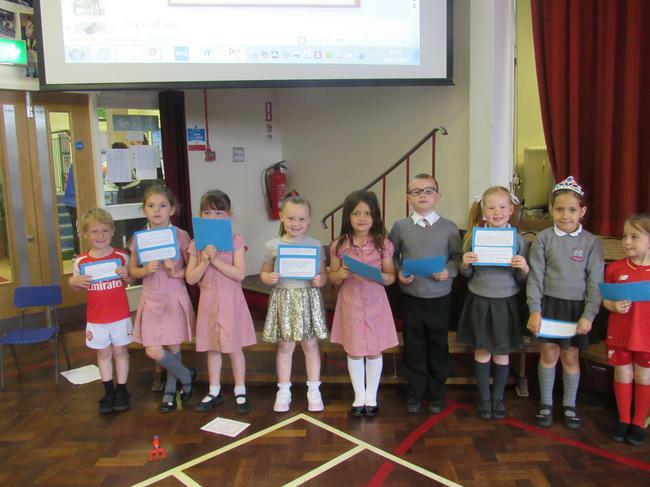 Miss Tipping and Mrs McCluskey were so pleased and very very proud of us all!